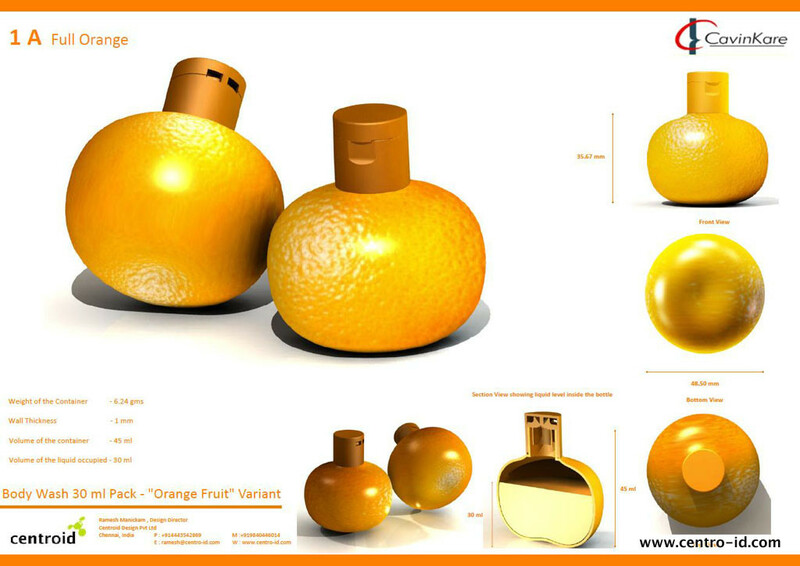 Our client wanted to launch a range of fruit flavoured body wash. As an introductory offer they wanted to design sample packs that give an identity of the flavour contents. 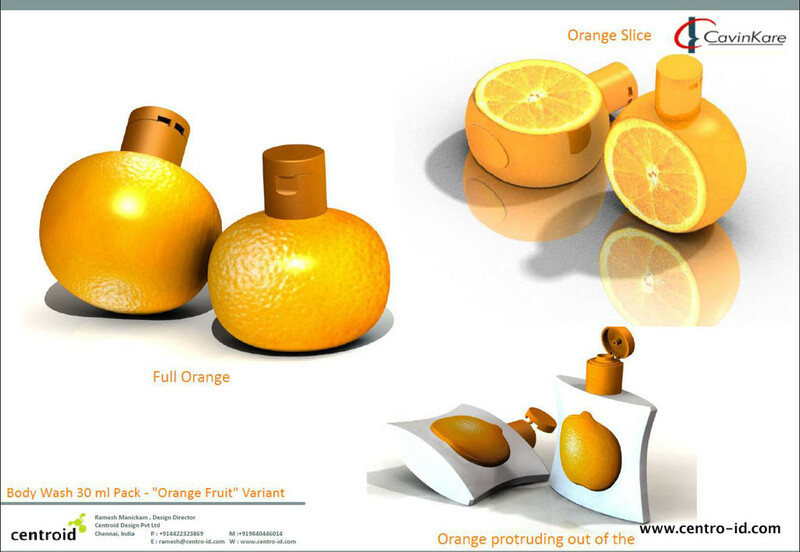 Centroid came up with interesting, innovative ideas with the fruit itself as a product packaging. 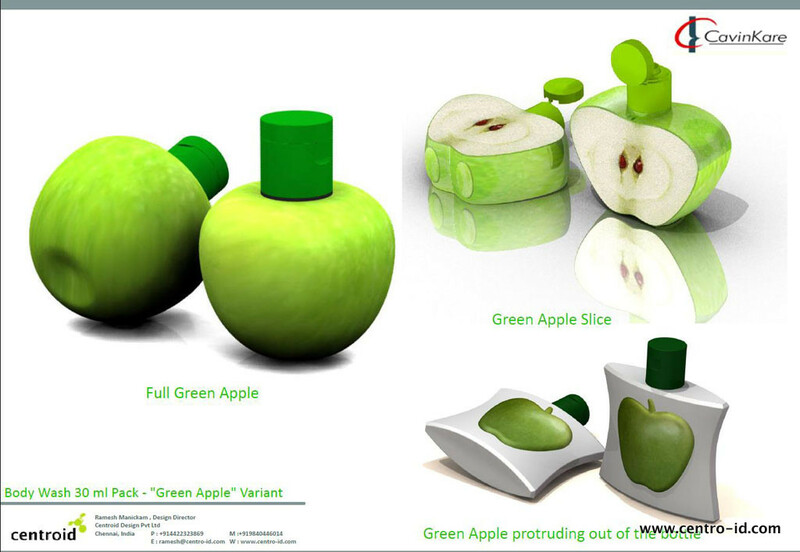 The ideas revolved around the full fruit itself designed like the packaging, cut fruit and the image of the fruit embossed in 3D feel on the container. 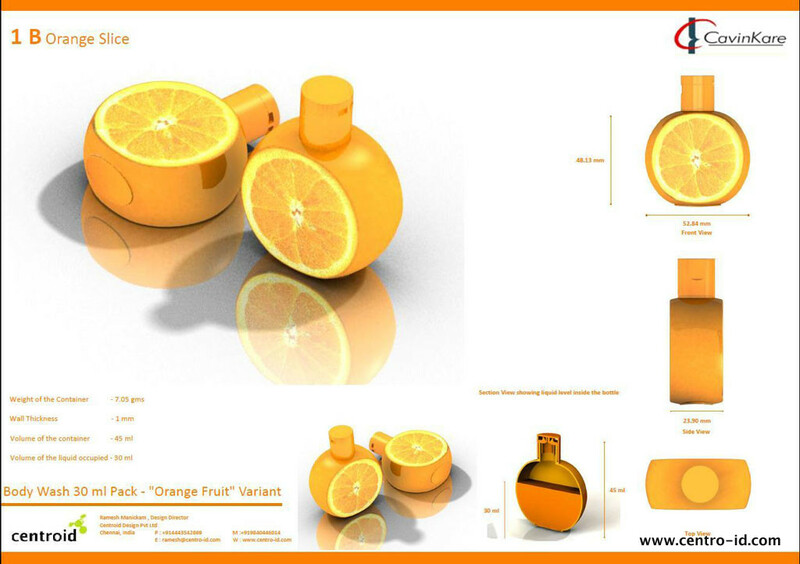 Different flavours of the product was designed like Orange, Green apple, Blue berry and black berry. 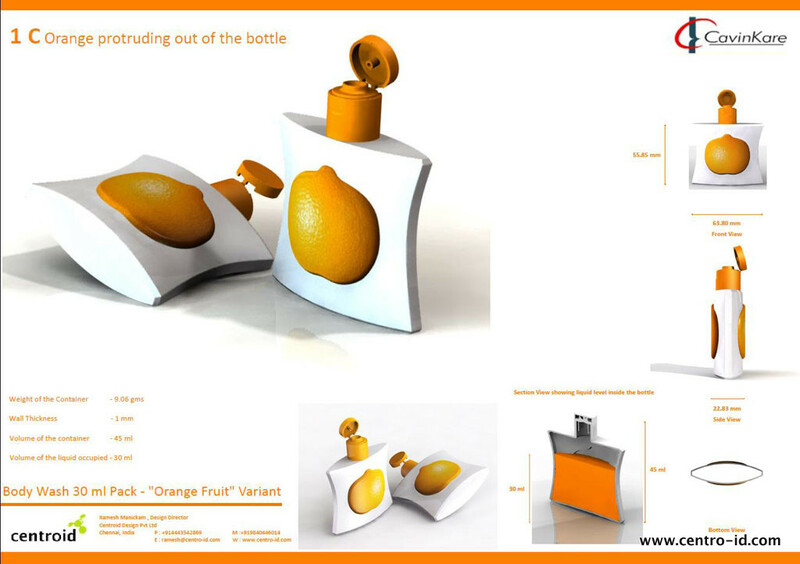 Final prototype of these units were done in acrylic to check the proportions and styling.